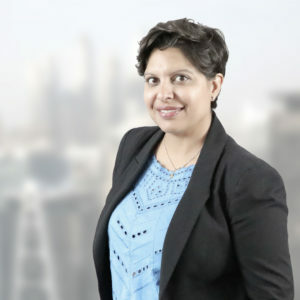 Izzat-Begum B. Rajan is Group Head of Finance and has 20 years financial experience focusing on Africa, Europe, the Middle East and India gained both in-house and in consulting firms. She is based between the offices in Nairobi and Dubai. Her career includes establishing cross-functional partnerships, driving operations and in streamlining accounting, finance, tax and compliance. Izzat was a Partner at EY Cameroon and Head of Finance for IPS Kenya. Izzat-Begum holds a Masters Degree in Business and Tax Law from University Pantheon-Assas, (Paris, France) and an LL.M. in Law of International Finance from SOAS (London, UK).